Welcome to Navarre, Florida vacation rental properties. Navarre is located in Santa Rosa County in the northwest part of the Florida Panhandle. This quaint community, popular with military personnel, is truly a treasure and growing as a vacation destination. Navarre has over 12 miles of sugar white sand beaches. It is home to many popular eateries including J.J. Chago's, The Copper Bull, Shark Bite and the Cactus Flower Cafe. The area offers unique gift shops, fishing charter boats, challenging golf courses, and plenty of gear rentals for your kayak, paddle boards, and other water activities. Book Navarre Beach condos in Florida on Emerald Coast By Owner. Find your perfect rental for your family vacation, couples trip or getaway with friends. 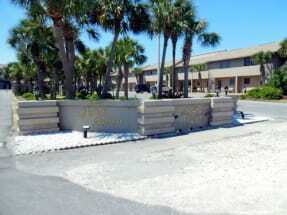 Navarre offers beachfront condo rentals with incredible Gulf views. Find and book your Navarre Beach house rental on ECBYO. Choose from large and small vacation properties. Some are pet-friendly and some are direct beach front. Contact the owner through the "Email Owner" button or use the calendar to book online. Places to stay in Navarre, Florida? ECBYO is full of Florida vacation rentals located in the best places to stay when visiting Florida. Choose from places like beach front condos, family vacation houses, and other memorable properties when you are searching Emerald Coast By Owner for the best places to stay in Florida. What are popular places to visit when visiting Navarre? If you are looking for relaxation and adventure, Navarre, Florida is the place for you! With endless quality seafood restaurants, miles of white sandy beaches and endless family attractions and nightlife, you are sure to love your Florida vacation. 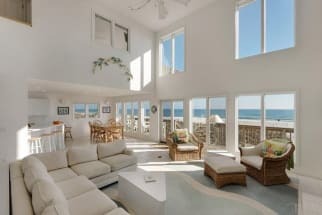 What type of vacation rental should I stay at in Navarre, FL? 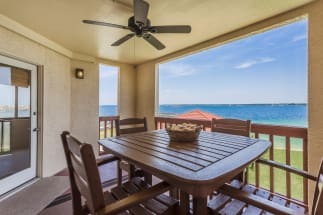 Emerald Coast By Owner is full of a wide variety of vacation rentals in Navarre, Florida including condos, beach homes, townhomes, villas and cottages. Our 2018 property selection is filled many properties in Navarre. We recommend selecting a property based off your needs such as proximity to the beach, gulf views, parking, nearby attractions, and whether or not the property is pet friendly. 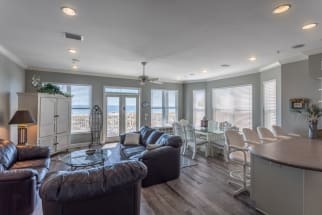 We recommend selecting a vacation rental to stay at based off your needs such as proximity to the beach, gulf views, parking, nearby attractions, and whether or not the property is pet friendly. Should I rent a condo in Navarre? Yes, if a condo is right for you! Most condo complexes in Navarre offer amazing Gulf views! Some include free beach service and countless resort amenities such as beachfront pools, exercise rooms and tennis courts. If this is what you are looking for, then you should rent a condo in Navarre. 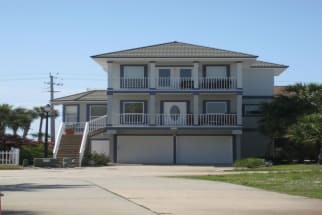 Should I rent a beach house in Navarre? Of course! Navarre beach homes often offer more space and seclusion than Navarre condos. Beach house rentals are often great for family vacations, larger groups or those who prefer having an entire house. Can I rent a pet friendly rental in Navarre? Yes! We love our pets and are sure you do too! ECBYO has many pet friendly rentals in Navarre. You can use our Advanced Search feature to narrow down our Navarre rental properties to just show those that are pet friendly. Are any of the Navarre rentals on ECBYO online bookable? Yes, when viewing Navarre rentals on ECBYO you will see two options. Properties that are online bookable will be labeled with our Book Online icon. You can select the Navarre rentals that have our Book Online icon to book them directly on ECBYO.